Here in Alberta, the potential for successful plant protein businesses is huge. We have the farmland, we have experienced farmers with the skills to grow a wide variety of in-demand crops and, increasingly, we have the interest in exploring new and exciting food applications. With more and more people around the world adding plant-based alternatives to their regular diets, crops like chickpeas, lentils and canola are in increasing demand around the world — all things that Albertans grow well and have the potential to be commercialized and turned into nutritious and convenient grocery store items. But transforming emerging foodstuffs like pulses or hemp into new consumer products requires some guidance, which is where companies like Netherlands-based private contract research firm NIZO come into play. The company’s business development manager, Ben van der Deen, was in Alberta in February, meeting with potential business partners and laying out NIZO’s expertise in the plant-protein sector. 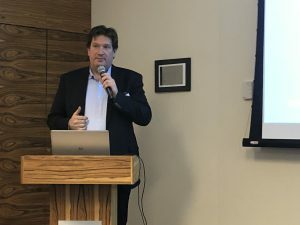 As part of Plant Protein Alliance of Alberta’s Global Business Network series of events, van der Deen spoke Feb. 15 in Calgary at a networking breakfast to an audience of industry players. NIZO was established some 70 years ago and is located in the Netherlands’ famed Food Valley. Originally set up to help Dutch dairy farmers add value to their raw milk products, over the decades the company has evolved to employ experts in other areas of food production, including the rapidly growing plant-protein sector. While van der Deen was not able to share a list of NIZO’s clients, the firm is known to have worked with many top international food companies to assist in the creation of a number of popular food products. Employing approximately 130 food scientists, NIZO’s world-class research and development centre provides the resources and brain power needed to transform crops into profitable food products. During his presentation Van der Deen pointed to global developments, noting that by 2050 the world’s population will have grown to about 9.7 billion, with essential resources like water growing increasingly scarce. His prediction is that global food supply demands will go up by 60 per cent, meaning that food producers need to start acting now to come up with more innovative high-protein products. 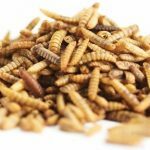 Developing these products may include researching how to produce better flavours and mouth feel, increase protein functionality, and create easier digestibility, noted van der Deen. Some of the research at NIZO includes looking at parts of each crop that are typically thrown away to come up with solutions on how to use to them to reduce waste and to increase profitability. Owen Fieldberg, of Fieldberg Farms and Altiva Inc., near Medicine Hat, was at van der Deen’s session to learn how a firm like NIZO might help propel forward his organic hemp business. “Opportunities to lean into institutions such as NIZO, with their depth of knowledge and historical experience, can only enhance our ability to create new products and lead the field,” Fieldberg said. Looking toward the same future that van der Deen illustrated in his presentation, Fieldberg is hoping that Albertans not only embrace emerging crops, but also take the opportunity to learn from global firms like NIZO in order to emerge as leaders when it comes to turning raw ingredients into consumer products. “The development of new methods of dissecting and isolating valuable portions of our kernels of hemp grain allows us to contribute and move Western Canada beyond commodity grain growers into the food ingredient manufacturer business,” Fieldberg said. Elizabeth Chorney-Booth is a Calgary-based freelance writer who works for the Calgary Herald, Globe and Mail, West Jet magazine and a number of other publications. She focuses on business, lifestyles, local events and, of course, food.